Tibard is proud to be part of the thriving business community in Manchester, providing quality uniform and workwear to some of the finest institutions in the UK. Tibard provides workwear and uniform solutions nationwide with products covering every aspect of workwear clothing and services including embroidery, laundry and bespoke design. If you are interested in workwear in Manchester, a business based here or with locations in the area, then it is likely that Tibard will have a solution for your needs. There are numerous benefits to buying your workwear online from Tibard which includes the extensive range of products that we have for each industry and the high quality of our clothing coupled with unbeatable value. As we supply these same products in large volume to international businesses we can offer our workwear to customers in Manchester, Bolton, Bury and Oldham at incredibly low prices. We provide these same bulk discounts online which ensures that as you spend more with us, you also save more which is another great benefit from buying from us online. For those interested in embroidered uniforms or workwear in Manchester and the surrounding area then this is something else that Tibard can offer you with our excellent personalisation service. Our embroidered uniforms are perfect for those businesses and brands that want to stand out from their competition by having professional looking, staff who are clearly identified as being part of the business. No matter what you need, Tibard can help you, regardless of how big or small you are or what industry you are in. Take a look through our site and if you need any more help or information simply get in touch and we will help with any of your workwear and uniform needs. Back in 1979, Tibard started our business as a designer and manufacturer of chef jackets in Manchester. Our widely popular chef's jackets are now used across the city and the North West in some of the region’s finest kitchens. After this time we moved into producing aprons and supplying hospitality uniforms to hotels, restaurants and holiday parks in the UK and beyond. However, we have always remembered our business was built on high-quality manufacturing and customer care. Whether you’re making a large order for your whole staff or a single item, you’re sure to find the workwear item to complete your uniform. We pride ourselves on the quality of garments, and we know that you’ll love them as much as we do. We sell to anyone who is interested in workwear in Manchester, Rochdale, Stockport and Salford, no matter what the size of your order is, however, if you are more likely to be interested in very high volume orders you may be more interested in the various services we offer to large companies. 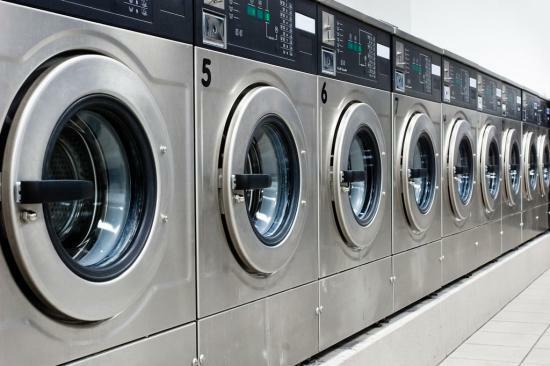 One of our core services is uniform rental and laundry which is a significant cost and time saver for any large business plus it allows you to provide all of your staff high quality, clean workwear throughout the year. We also offer the more unique service of uniform manufacturing and bespoke uniform design which is a highly specialised offering that not many businesses can replicate; this allows you to work with us to create a tailored uniform perfect for your business and employees. To find out more about the services that we can offer your Manchester business, please take a look at our services pages or even our case studies where you can see exactly how we work with businesses like you.